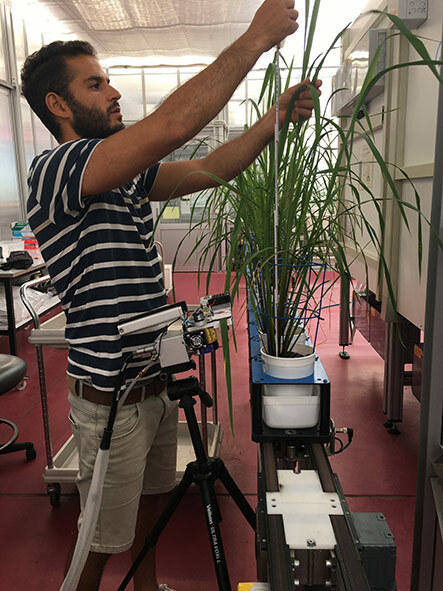 The Adelaide node of the APPF is excited to announce the addition of a hyperspectral imaging system to its high-throughput phenotyping capability. 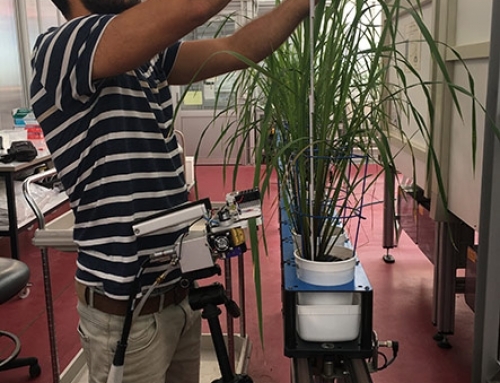 Installed in a unique imaging station in the existing automated phenotyping system, it uses Specim VNIR and SWIR hyperspectral cameras to capture the spectral reflectance of plants from 350-2500 nm. 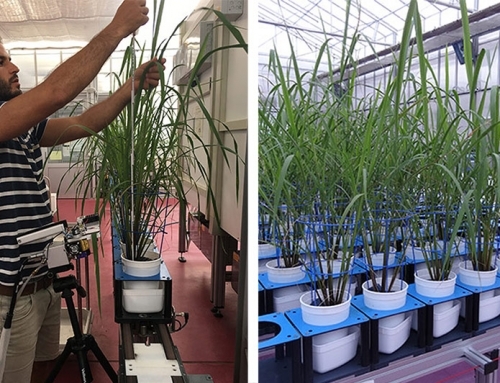 The hyperspectral reflectance data can be used to non-destructively measure a whole range of plant constituents including nutrients, water or other aspects of plant physiology where a distinct spectral signature can be analysed. 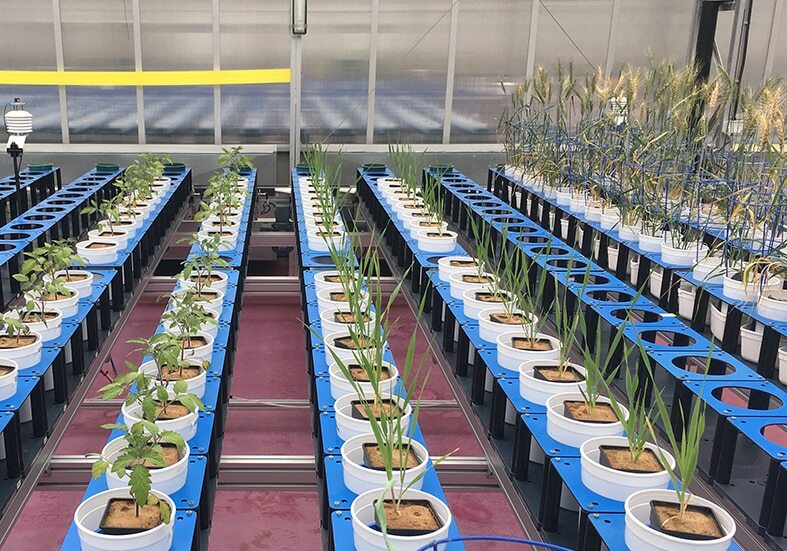 The system was integrated by WIWAM, a partnership between engineering firm SMO and the research institute VIB, both located in Ghent, Belgium. 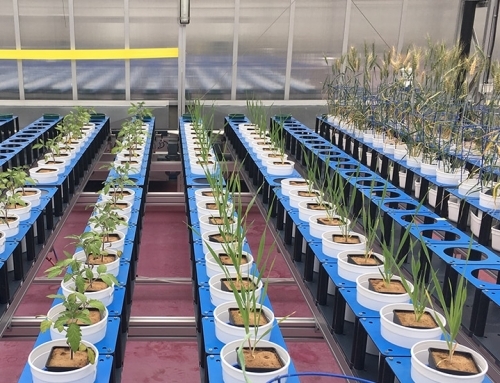 The upgrade to the system was made possible through support from the University of Adelaide’s DVCR Infrastructure Fund and the School of Agriculture, Food and Wine. 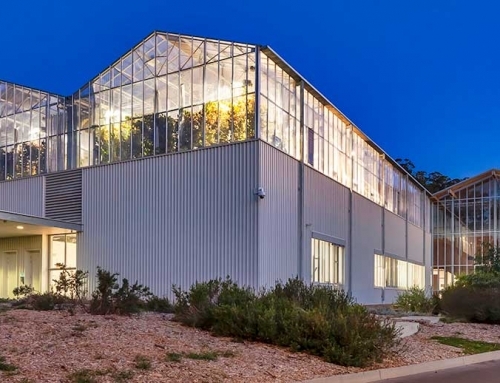 Although currently based in the Adelaide node’s Smarthouse facility, the system is mobile, with a view for future use in the field. The system has gone through initial testing and is now available for wider use. 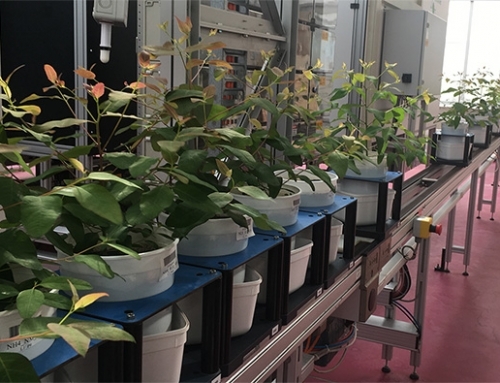 A number of pilot projects will be run on the system and expressions of interest are sought from researchers wishing to evaluate this new capability. 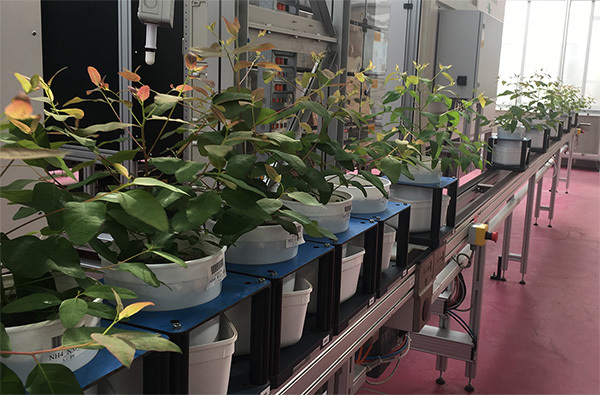 In collaboration with the Fraunhofer Institute in Germany we will be using machine learning methods to develop a number of models for key plant components. 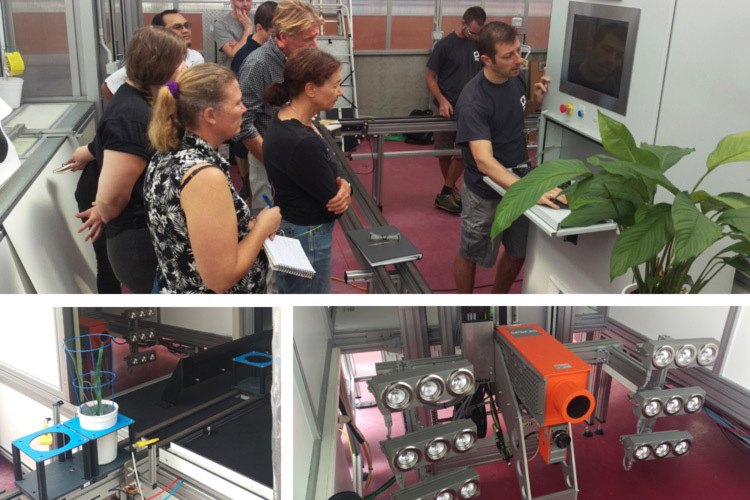 For this, we will acquire training data sets of hyperspectral images alongside traditional wet lab analysis. Researchers who are able to provide the traditional analytics capabilities to acquire these training sets will be given priority in selecting pilot trials. Please contact Dr Trevor Garnett or Dr Bettina Berger at our Adelaide node to discuss your research project. 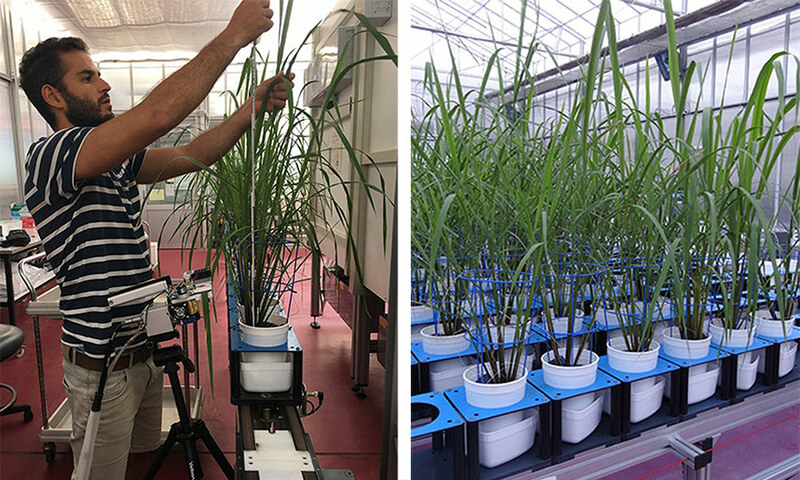 Click here to find out more about the technology available across all nodes of the Australian Plant Phenomics Facility.